Nobody wants their family holiday to end abruptly just because their beloved caravan has suddenly broken down. To add insult to injury, a broken-down caravan on the side of the road attracts the unwanted attention of other motorists, causing embarrassment and leaving you wanting to move the caravan off site ASAP. To get the job done quickly and professionally – call Select Tilt Tray Group right away! 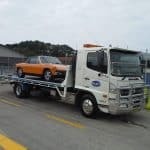 We have over 20 years’ experience offering a range of tow truck services throughout the Sydney region. 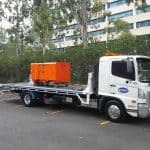 Caravan towing is a specialised operation, which should only be carried out by towing companies with the right tow trucks and equipment to move heavier vehicles. Select Tilt Tray Group have trucks within our fleet that are equipped with electric brake controllers for caravans and also boats. This means we can tow cars and caravans, as well as cars and boat trailers simultaneously. 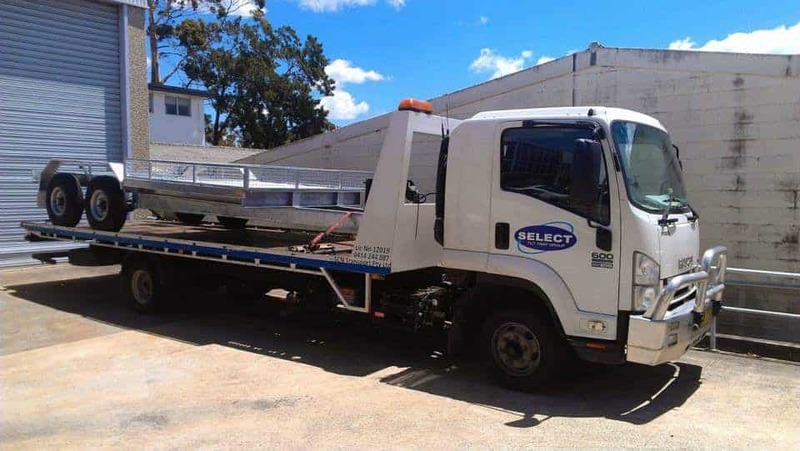 Our customers can conveniently travel in our tow trucks while their vehicle is being towed, as we can accommodate up to 2 passengers in the cabin of our trucks. We are also able to offer you a secure vehicle storage facility for your caravan in our Sydney based warehouse, should this be required. Select Tilt Tray Group are always happy to go the extra mile for their customers. 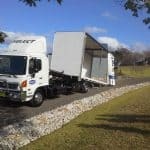 That is why we operate a backloading system for trucks that are travelling empty on their return trips from country NSW areas. We offer this service in situations where an empty return truck is travelling in your direction (and our drivers don’t need to detour too far from their course). By taking advantage of our backloading system, you can save up to 50% off our normal caravan towing and transport costs. 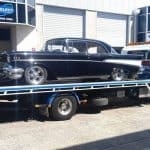 We know that breakdowns don’t only happen on weekdays during working hours, so our tow trucks are available 7 days a week, and we offer a 24 hour emergency towing. Should anything go wrong – there is no need to worry. 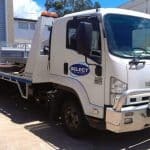 Select Tilt Tray Group are a fully insured towing and transportation company with comprehensive cover for everything we tow, for your peace of mind. Our service fees are reasonable, and we accept payment by Visa, MasterCard, cash or EFT, either at the time of your job booking, or upon pick up or delivery. 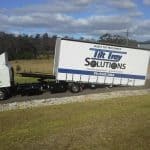 Next time your caravan breaks down during your family getaway, don’t let a mishap turn into a tourist attraction for other motorists; just call Select Tilt Tray Group on 02 9545 3464.